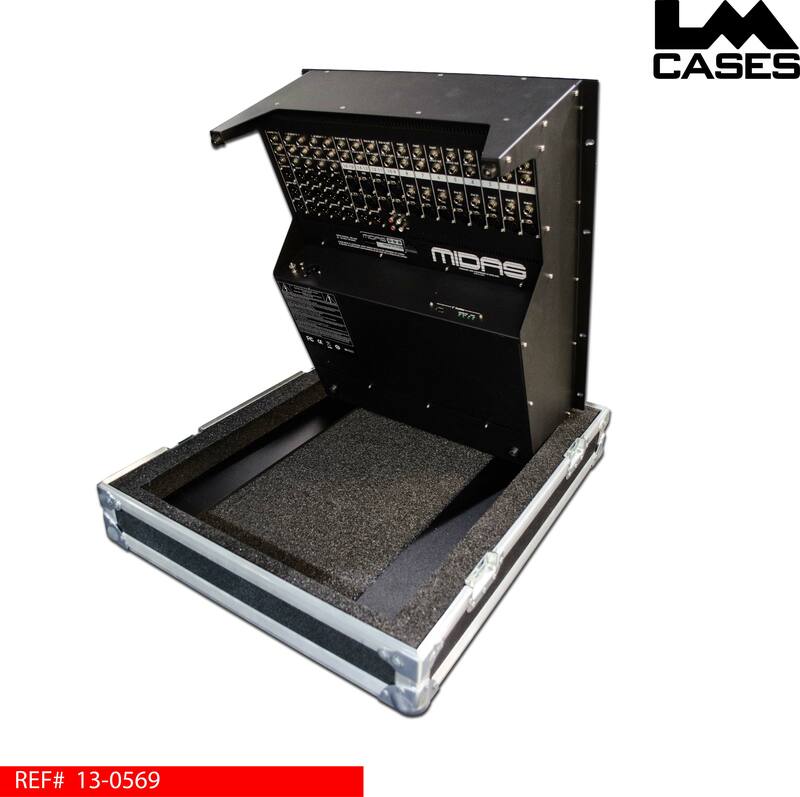 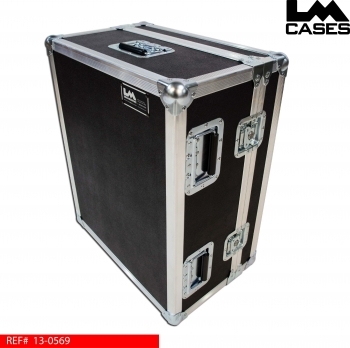 This case is designed for the rackmounted version (F16R) of the Midas Venice F16 mixing console. 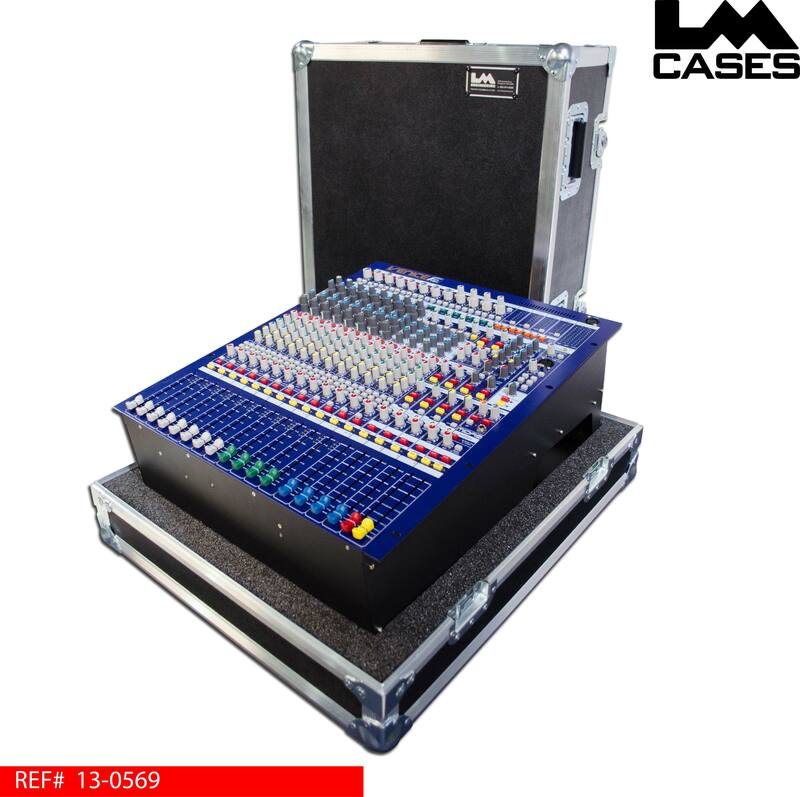 The case features angled foam blocks that contour the rack ears of the console and trap it in the case without touching the knobs or faders. 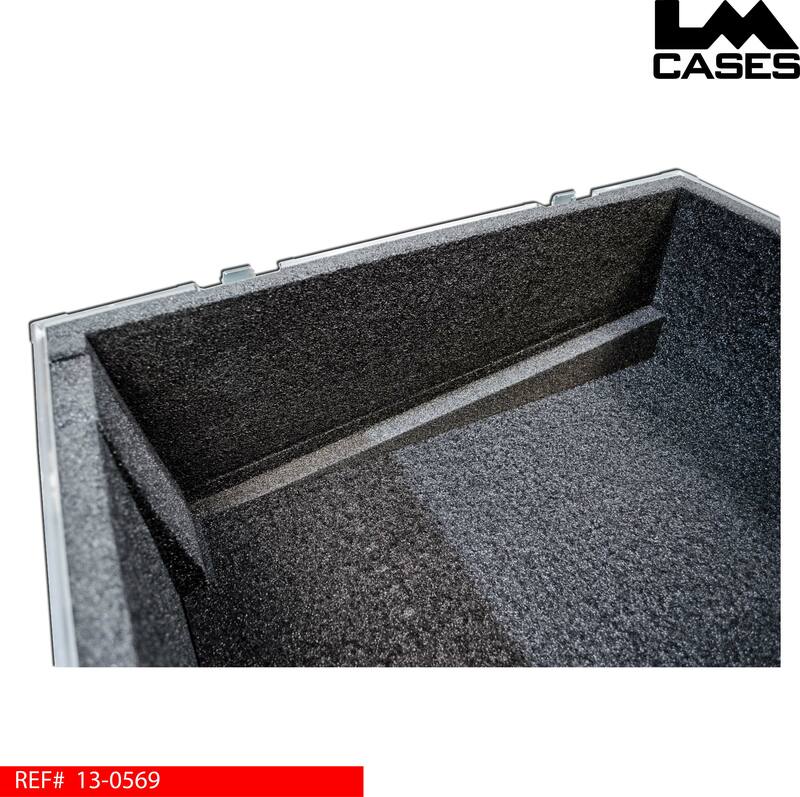 The case tray features plastic strips the prevent the feet from sinking into the foam. The exterior case is built out of 1/4" plywood (thicker plywood is available on request) to keep it as lightweight as possible. The console can be used in the case tray.